Last week was the "World Book Day" and there was this tag going on on the networks #Ireadbecause. I don't think I would be able to describe this in one sentence, but I can tell you that one of the reason I read is 'cause it makes me travel without moving from my chair. And it is not that I don' t travel, I do, a lot, but travelling with a book is like being hosted by a local who shows you around, the secret corners, the little spots. This book will definitely make you travel, of course to Japan, but in particular to Gion Kobu, the Geisha homeland. You will be sent first class to the life of Mineko, and her "struggle" to become the perfect and most influent Geisha. In this memoir we will discover the reason for this "choice", and all the efforts and giving up that this will bring to her life. I found the book quite sad, as if you are waiting all the time for the next bad thing to happen, but despite that this book is full of courage and lots, but lots, of passion and dedication. I got so interested and fascinated by the life of Geisha that started surfing for a bit more. I actually discovered that the famous book "Memoir of a Geisha" by Arthur Golden was inspired by the life of Mineko but that Golden apparently had told a lot of lies about the life of Geisha. 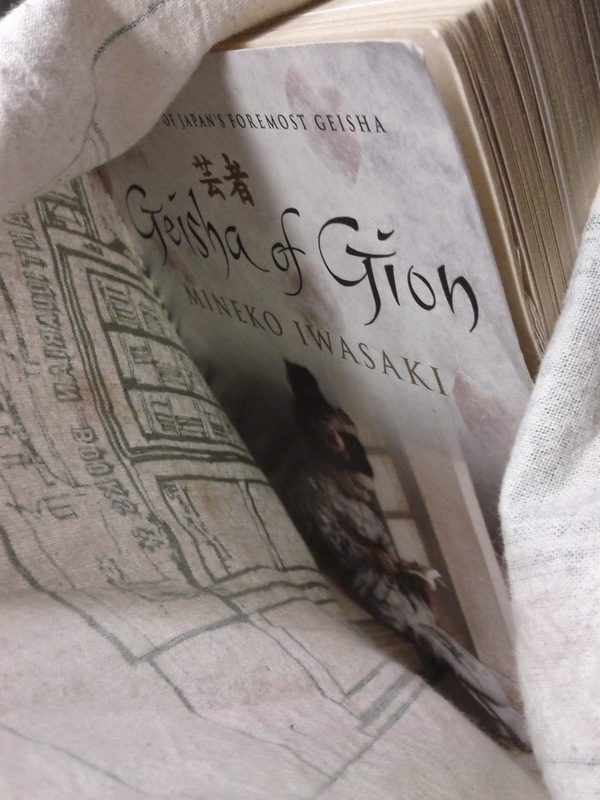 This is why Mineko finally decided to write her own memoir, to tell the truth about Geisha and, especially about her life. You can understand more in this interview. Here you can find a traditional dance of a Geisha and here a traditional Geisha's make up.